Figure 6-3. Swing lock assembly exploded view. Figure 6-2. Automatic planetary boom hoist pawls assembly. the center of the friction shoe surface on the clutch drum. moving in relation to the carrier. 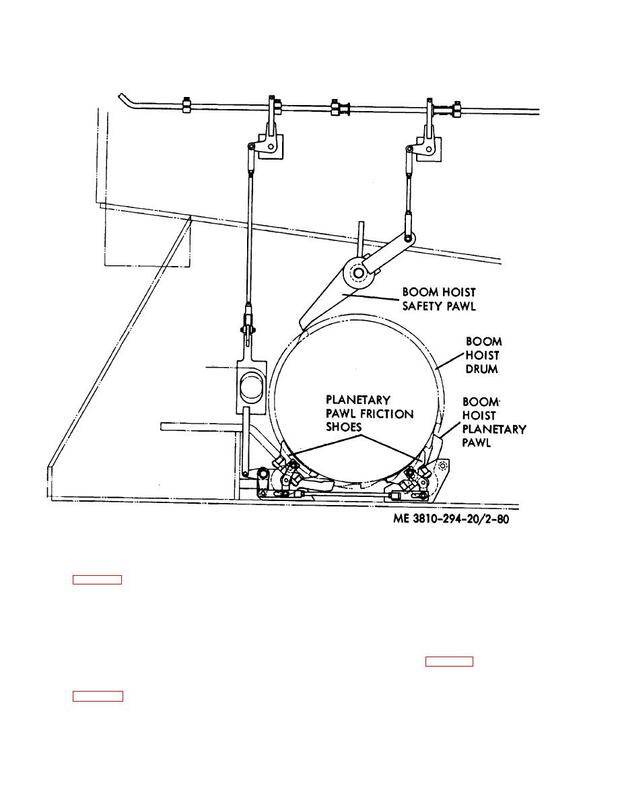 Refer to figure 6-3 and disassemble the swing lock.